Dr. van Nes enjoys the challenge of being a specialist in general obstetrics and gynecology. Her primary interest is preventative care throughout a woman's life, including pregnancy and menopause. She also enjoys teaching future physicians and is an Assistant Professor with the Department of OB/GYN and is the Director of the OB/GYN Simulation program. She has presented in numerous national conferences about resident education. A native of Kentucky, Dr. van Nes completed her B.S. in Biology and M.D. 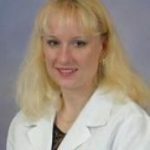 from the University of Kentucky (go Wildcats) She then moved to Knoxville and completed her OB/GYN residency at the University of Tennessee Medical Center Knoxville, graduating with CREOG exam awards as well as the Chairman's award. After residency, she joined University Women's Specialists in 2008 where she has been in practice since. 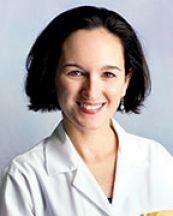 In 2016, she obtained her M.B.A. degree from the University of Tennessee and is the Medical Director of University Women's Specialists. In her spare time, Dr. van Nes enjoys spending time with her husband and three children as well as running half marathons and reading fiction.